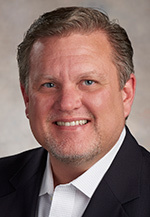 John Wilcox has joined Sachse Construction, a commercial construction firm in Detroit, as a retail project manager. Wilcox brings 25 years of experience in the construction and utility industries, with 20 years specifically focused on construction management. In his new role, he will lead pre-construction efforts by establishing schedules and budgets, manage the construction process by identifying challenges and delivering solutions, provide clear and consistent communication to the client, project team and architect, and ensure the successful delivery of projects. Previously, Wilcox managed and estimated a variety of construction projects throughout the United States. He is an active member of the U.S. Green Building Council, Project Management Institution, The American Legion and American Concrete Institution. Wilcox earned his Bachelor of Science in construction engineering technology from Missouri Western State University.